Buy the Just Cause 4 Expansion Pass now and secure 7 days' early access to each of the three expansions upon their release. 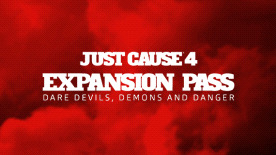 More details on the expansion episodes will become available when the game is released. Dare Devils drop anticipated early 2019.